Draft: 2011, Cincinnati Reds, 3rd rd. Anthony Michael Cingrani…graduated from Lincoln-Way Central High School in New Lenox, Illinois, where in 2007 he threw a no-hitter with 20 strikeouts against the state's top-ranked team...attended South Suburban College in South Holland, Illinois, where he set the school's career record for strikeouts (195 K in 143.1 IP)...transferred to Rice University…selected by the Reds in the third round of the 2011 First-Year Player Draft and was signed by scout Jerry Flowers. Limited to just 30 games due to left shoulder injuries, going 1-2 with a 4.76 ERA in his first full season with the Dodgers ... Pitched the seventh inning, walking two and striking out one, in the Dodgers' combined no-hitter on May 4 against the Padres in Monterrey, Mexico…Walker Buehler started the game (6.0 IP), and Yimi Garcia (1.0 IP) and Adam Liberatore (1.0 IP) followed Cingrani's frame to close out the 4-0 win and the first combined no-hitter in Dodger history ... Punched out 36 batters against just six walks in 22.2 innings of relief…posted 14.29 strikeouts per nine innings and a 6.00 strikeout-to-walk ratio ... Held hitters to a .221 average, including limiting righties to a .235 mark and a .200 average against left-handed hitters ... Placed on the DL from May 9-19 with left shoulder inflammation, and also missed time from June 7-Sept. 17 with a strained left shoulder. Appeared in a combined 47 games with the Reds and the Dodgers, posting a 4.22 ERA and holding hitters to a .247 average...struck out 52 batters against 12 walks in 42.2 innings...In 25 games with Cincinnati, he allowed 14 runs in 23.1 innings (5.40 ERA) and struck out 24 batters against six walks...placed on the 10-day DL from April 19-June 6 with a strained right oblique and made three rehab appearances (one start) with Triple-A Louisville and Single-A Dayton...Prior to the All-Star break, he posted a 2.70 ERA (5 ER/16.2 IP) with a .213 opponents' batting average and a 1.02 WHIP in 18 games with Cincinnati...Acquired by the Dodgers at the July 31 trade deadline in exchange for INF/OF Scott Van Slyke and minor leaguer Hendrik Clementina...In 22 relief appearances with Los Angeles, he posted a 2.79 ERA (6 ER/19.1 IP) and held hitters to a .214/.276/.286 slashline...struck out 28 batters against just six walks, while posting a 1.09 WHIP...Tossed scoreless relief in 18 of his 22 games after joining the Dodgers and allowed just one home run in 19.1 innings (0.47 homers per nine innings) with the club...Appeared in seven postseason games, allowing just one run over 5.0 innings (1.80 ERA) and limited the opposition to a .188 average. Recorded 65 apps and a team-high 17 saves, both career highs...tied Ross Ohlendorf for the staff lead in games finished (34)...didn't record a save in the first 143 apps of his professional career but beginning 5/6 had 17 saves in his last 50 apps of the season...converted all 12 save chances between blown saves in a 7-6 loss on 6/7 vs StL and the 5-4 loss on 9/23 at Mil...was his longest saves streak of the season (6/10-9/10)...in the 5-1 win on 5/6 vs Mil recorded his first professional save...combined with Tim Adleman to become the first set of Reds pitchers to record a first career win and first career save in the same game since Joe Valentine saved Luke Hudson's 2-0 win on 8/20/04 at Ari...from 8/14-9/3 produced season-high scoreless streaks of 7 games and 7.0 innings...his 6 pickoffs tied SF's Johnny Cueto and LAD's Julio Urias for the most in the Major Leagues. Made a career-high 35 apps during 2 stints with the Reds...as a reliever, retired 19-34 first batters faced, stranded 16-25 inherited runners and suffered 2 blown saves... earned a spot on the Opening Day roster and posted a 3.47era in 24 relief apps before he was disabled on 6/15 with a strained left shoulder...from 7/2-7/17 didn't allow a run in 3 starts and 1 relief appearance while on a rehabilitation assignment at Louisville (14ip, 6h, 6bb, 18k)...came off the DL on 7/22, when as the 26th player on the roster he started the nightcap of the day/night doubleheader vs the Cubs...following that spot start was optioned to Louisville and spent the rest of the minor league season with Louisville...after 1 start for the Bats went on the disabled list with a strained non-throwing right shoulder (7/30-8/17)...on 9/8 rejoined the Reds as 1 of 6 roster additions...in a 5-0 win vs Toledo on 7/12 threw the first 4.0 innings of the first 9-inning no-hitter in Bats history (David Holmberg 3ip, Sam LeCure 2ip)...had 2 pickoffs in spring training and 1 pickoff during the regular season (Yasiel Puig PO/136, 8/16 at LAD). Missed most of the season with a left shoulder injury...began the season with the Reds and went 2-8, 4.55 in 11 starts and 2 relief apps before he was optioned to Class AAA Louisville on 6/20, when RHP Jumbo Diaz was promoted...didn't pitch for the Bats before he went on their disabled list on 6/26...didn't pitch again the rest of the season...made his last 2 apps for the Reds in relief after beginning the season with 11 starts (2-7, 4.68)...moved to the bullpen on 6/14, when RHP Mat Latos came off the disabled list...from 5/1-5/17 was on the Reds' disabled list with left shoulder tendinitis...in 6 starts after he came off the DL went 0-5, 5.83 before he joined the relief corps...in his 11 starts produced 3 quality starts...didn't allow 6 hits in a game until his 23rd and 24th career starts, on 4/24 at Pit and 4/30 vs Cubs...on 6/9 vs LAD, in his 29th career start, allowed a career-high 6 runs in 4.2 innings...allowed 4 runs or fewer in the first 28 starts of his career, tied for the fourth-longest such streak in Major League history...had 4 pickoffs in spring training and 2 pickoffs during the regular season (StL's Matt Adams, Phi's Cody Asche). For most of the season filled the spot in the rotation vacated by Johnny Cueto, who was disabled 3 times...went 7-4, 2.77 in 18 starts and 0-0, 4.91 in 5 relief apps...from 8/25-9/4 was disabled with a low back strain and didn't pitch after 9/10 because of back spasms...only once allowed more than 3 runs in a start...led the staff with 6 pickoffs (Anthony Rizzo, Norichika Aoki, Yasiel Puig, Jeff Bianchi, Paul Goldschmidt, Shane Robinson)...from 7/17-7/27, a span that included the All-Star break, spent time on the AZL Reds roster but did not pitch...made his first start after the All-Star break as the 26th man added to the roster for a doubleheader on 7/23 at SF, where he earned the 9-3 win in the opener...was promoted from AZL Reds before that start and returned to AZL after that start...officially was recalled on 7/28 to pitch at LAD and spent the rest of the season on the Reds' roster...in the 11-1 win on 4/18 vs Mia became the first Reds pitcher to win his first career start since Sam LeCure did it in a 15-6 victory on 5/28/10 vs Hou and the first Reds lefthander to do it since Tom Browning beat LAD, 5-1, on 9/9/84 at Dodger Stadium...became the first lefthanded pitcher to start a game for the Reds since Dontrelle Willis on 9/29/11 in a 5-4 win at Pit in Game 159 of that season...between the starts by Willis and Cingrani, righthanders made 180 consecutive starts for the Redlegs to tie the club record for such a streak...the Reds also started 180 straight righthanders from 9/11/07-9/27/08...in the 5-2 win on 4/28 at Wsh (6ip, 2h, 0r, 1bb, 11k) became only the second Reds rookie since 1900 to record at least 11 strikeouts while allowing 2 hits or fewer in a game (Bruce Berenyi, 2h, 12k, 8/24/81 vs NYM)...his 11 strikeouts were the most by a Reds rookie since LHP Dennys Reyes had 12 strikeouts on 8/20/98 vs Pit...in the fourth inning became only the fifth Reds pitcher with 4 strikeouts in an inning (Joe Nuxhall, Mario Soto, Tim Birtsas, Frankie Rodriguez)...also in that game singled off Ross Detwiler for his first career hit...in the 11-inning, 1-0 loss on 7/28 at LAD received no decision after allowing just 1 hit in 7.0 innings while tying his career high with 11 strikeouts...allowed only 2 baserunners, a single by pitcher Chris Capuano with 2 outs in the third inning and a leadoff walk in the seventh to Yasiel Puig, who was picked off...as a batter, had 2 bunt singles (7/14 at Atl, 9/5 vs StL) and on 9/5 vs StL the first stolen base by a Reds pitcher since Bronson Arroyo did it on 8/31/08 vs SF...while at Louisville, was named International League Pitcher of the Week after he threw 6.0 no-hit innings in the Bats' Opening Day win vs Toledo (1bb, 14k)...in earning that win he struck out his first 7 batters and 14 of 19 batters overall...was not on the Wild Card playoff roster. Was the organization's Minor League Pitcher of the Year ... in 26 apps and 25 starts at Class A Bakersfield and Class AA Pensacola combined to go 10-4, 1.73 (146ip, 98h, 52bb, 172k, 9hr) ... led all qualifying minor league pitchers in ERA and ranked second in the minors in strikeouts ... was a Baseball AmericaMinor League All-Star ... his fastball was voted the best in the California League by CL managers ... while at Bakersfield was the organization's Minor League Pitcher of the Month for April (4gs, 2-1, 0.39, 23ip, 9h, 5bb, 28k) ... joined the Reds on 9/4, after Pensacola's season ended, and became the fifth player from the 2011 June draft to make his debut (Cle's Cody Allen, Ari's Trevor Bauer, Sea's Carter Capps, LAA's Nick Maronde) ... in the 5-1 loss on 9/9 vs Hou, in relief of Johnny Cueto made his Major League debut (3ip, 1h, 1er, 0bb, 5k, 1hr) ... became only the second reliever in franchise history to record at least 5 strikeouts in his first career appearance (Angel Torres, 5k, 9/12/77 vs Hou) ... his 3.0-inning stint in that debut tied Alfredo Simon for the longest by a Reds reliever this season, and his 5 strikeouts tied Aroldis Chapman and Simon for the most in a game by a Reds reliever all year ... struck out his first career batter faced (Fernando Martinez) ...in his debut also made his first career plate appearance and struck out (Edgar Gonzalez) ... began his Reds career wearing uniform number 70 ... on 9/8, a day before his debut, switched to 52. In 2011, named MLB.com's Short-Season Starting Pitcher of the Year...fanned 80 batters in just 51.1 innings for Rookie Billings and held batters to a .190 average...named Pioneer League Pitcher of the Week for 8/22-8/29...following the season was named by Baseball America as a "Rookie All-Star" and the eighth-best prospect in the Pioneer League. March 28, 2019 Los Angeles Dodgers placed LHP Tony Cingrani on the 10-day injured list retroactive to March 25, 2019. Left shoulder impingement. September 17, 2018 Los Angeles Dodgers activated LHP Tony Cingrani from the 60-day disabled list. September 14, 2018 Los Angeles Dodgers sent LHP Tony Cingrani on a rehab assignment to Rancho Cucamonga Quakes. August 15, 2018 Los Angeles Dodgers transferred LHP Tony Cingrani from the 10-day disabled list to the 60-day disabled list. Left shoulder strain. June 7, 2018 Los Angeles Dodgers placed LHP Tony Cingrani on the 10-day disabled list. Left shoulder strain. May 19, 2018 Los Angeles Dodgers activated LHP Tony Cingrani from the 10-day disabled list. May 9, 2018 Los Angeles Dodgers placed LHP Tony Cingrani on the 10-day disabled list. Left shoulder inflammation. August 3, 2017 Los Angeles Dodgers activated LHP Tony Cingrani. July 31, 2017 Cincinnati Reds traded LHP Tony Cingrani to Los Angeles Dodgers for LF Scott Van Slyke and C Hendrik Clementina. June 6, 2017 Cincinnati Reds activated LHP Tony Cingrani from the 10-day disabled list. June 1, 2017 Cincinnati Reds sent LHP Tony Cingrani on a rehab assignment to Louisville Bats. May 29, 2017 Cincinnati Reds sent LHP Tony Cingrani on a rehab assignment to Dayton Dragons. April 21, 2017 Cincinnati Reds placed LHP Tony Cingrani on the 10-day disabled list retroactive to April 19, 2017. Strained right oblique. September 8, 2015 Cincinnati Reds recalled LHP Tony Cingrani from Louisville Bats. August 18, 2015 Louisville Bats activated LHP Tony Cingrani from the 7-day disabled list. August 2, 2015 Louisville Bats placed LHP Tony Cingrani on the 7-day disabled list retroactive to July 30, 2015. July 23, 2015 Cincinnati Reds optioned LHP Tony Cingrani to Louisville Bats. July 22, 2015 Tony Cingrani roster status changed by Cincinnati Reds. July 3, 2015 Cincinnati Reds sent LHP Tony Cingrani on a rehab assignment to Louisville Bats. July 2, 2015 Cincinnati Reds sent LHP Tony Cingrani on a rehab assignment to Louisville Bats. September 29, 2014 Cincinnati Reds recalled LHP Tony Cingrani from Louisville Bats. September 16, 2014 Louisville Bats activated LHP Tony Cingrani from the 7-day disabled list. June 20, 2014 Cincinnati Reds optioned LHP Tony Cingrani to Louisville Bats. May 18, 2014 Tony Cingrani roster status changed by Cincinnati Reds. October 2, 2013 Cincinnati Reds activated LHP Tony Cingrani. October 1, 2013 Cincinnati Reds reassigned LHP Tony Cingrani to the minor leagues. September 5, 2013 Cincinnati Reds activated LHP Tony Cingrani from the 15-day disabled list. August 25, 2013 Cincinnati Reds placed LHP Tony Cingrani on the 15-day disabled list retroactive to August 21, 2013. Right lower back strain. July 28, 2013 Cincinnati Reds recalled LHP Tony Cingrani from AZL Reds. July 24, 2013 Cincinnati Reds optioned Tony Cingrani to AZL Reds. July 23, 2013 Cincinnati Reds recalled Tony Cingrani from AZL Reds. July 17, 2013 Cincinnati Reds optioned Tony Cingrani to AZL Reds. June 11, 2013 Cincinnati Reds recalled Tony Cingrani from Louisville Bats. May 18, 2013 Cincinnati Reds optioned Tony Cingrani to Louisville Bats. April 18, 2013 Cincinnati Reds recalled Tony Cingrani from Louisville Bats. March 12, 2013 Cincinnati Reds optioned Tony Cingrani to Louisville Bats. October 15, 2012 Tony Cingrani roster status changed by Cincinnati Reds. September 4, 2012 Cincinnati Reds selected the contract of LHP Tony Cingrani from Pensacola Blue Wahoos. 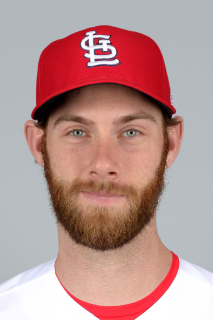 June 2, 2012 Tony Cingrani assigned to Pensacola Blue Wahoos from Bakersfield Blaze. April 1, 2012 Tony Cingrani assigned to Bakersfield Blaze from Billings Mustangs. June 29, 2011 Tony Cingrani assigned to Billings Mustangs from AZL Reds. June 20, 2011 Tony Cingrani assigned to AZL Reds from Cincinnati Reds. June 19, 2011 Cincinnati Reds signed LHP Tony Cingrani.